Cheese blintzes -- essentially cheese-filled crepes -- are a classic Ashkenazi Jewish food that probably originated in Poland. They can be adapted to a kosher for Passover recipe by simply replacing the flour in the recipe with potato starch. As a bonus, this makes the recipe suitable year round for anyone who needs to avoid gluten. In a large bowl, whisk together the eggs and 2/3 cup of water. In a separate bowl, mix together the potato starch and salt. Slowly add the potato starch mixture to the egg mixture, whisking until smooth. The batter should be thin. If it is too thick, add some more of the water, a tablespoon at a time, until the batter reaches a thin, pourable consistency. Pour a little oil into an 8 to 9-inch nonstick skillet (use just enough to coat the bottom of the pan), and warm over medium-high heat. When the oil is hot, pour just enough blintz mixture into the hot oil to lightly cover the pan. Rotate the pan so the batter covers the whole bottom. Cook the blintz until the center bubbles, the top looks dry and set, and the blintz slides easily in the pan. 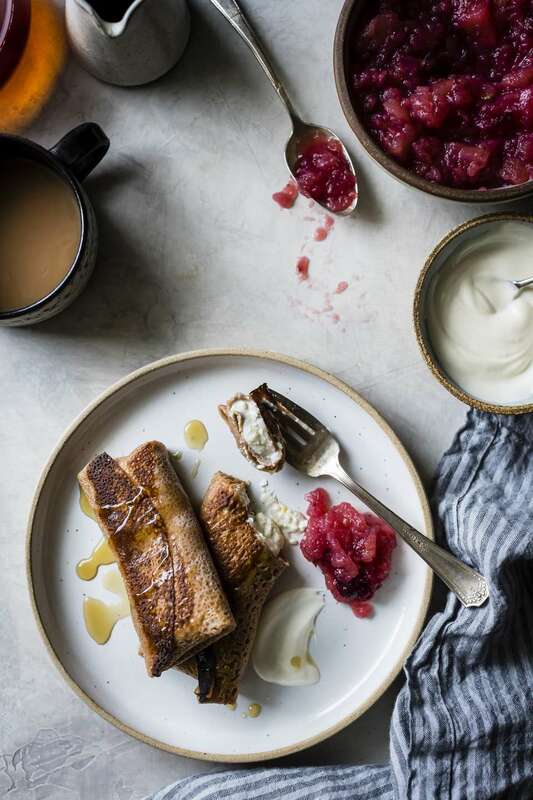 Turn out the blintz from pan onto a plate to cool. Continue making blintzes until the batter is all used up, stacking the cooked blintzes on the plate as you go. Preheat the oven to 300 F. Butter a 9 x 13 x 2-inch baking dish and set aside. In a large bowl, crumble the farmers cheese. Add the cottage cheese and sugar, and mix until smooth and well blended. Spoon 1 to 2 tablespoons (depending on the size of the blintz made) of filling into the center of each blintz. Fold the bottom up to cover the filling. Fold the sides in over the bottom flap, then fold the top down, so the sides of the blintz are tucked in and you have a cylindrical "package." Place the filled blintzes seam side down in the prepared baking dish. Dot the blintzes with a little butter. Cover the pan with foil and bake in the preheated oven until the blintzes are warmed through. Serve with fresh fruit or a selection of jams and sour cream. Once the crepes are filled, they can be stored in an airtight container or bag and frozen until you are ready to use them. Place the frozen crepes in a baking dish, cover, and bake until hot.